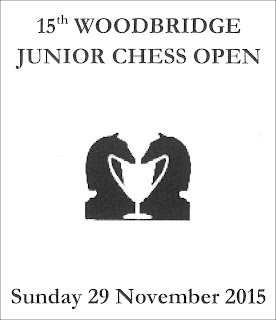 Adam Hunt reports that entries are coming in well for the 15th Woodbridge Junior Open tournament, which takes place at Woodbridge School on Sunday 29 November. This is a qualifying tournament for the London Junior Chess Championships, with sections for Under 8, u10, u12, u14, u16 and u18. There are six rounds, with 30 minutes each for the game. All games will be ECF Rapidplay graded. To avoid a £4.00 late entry fee, be sure to send in entries by next Wednesday. 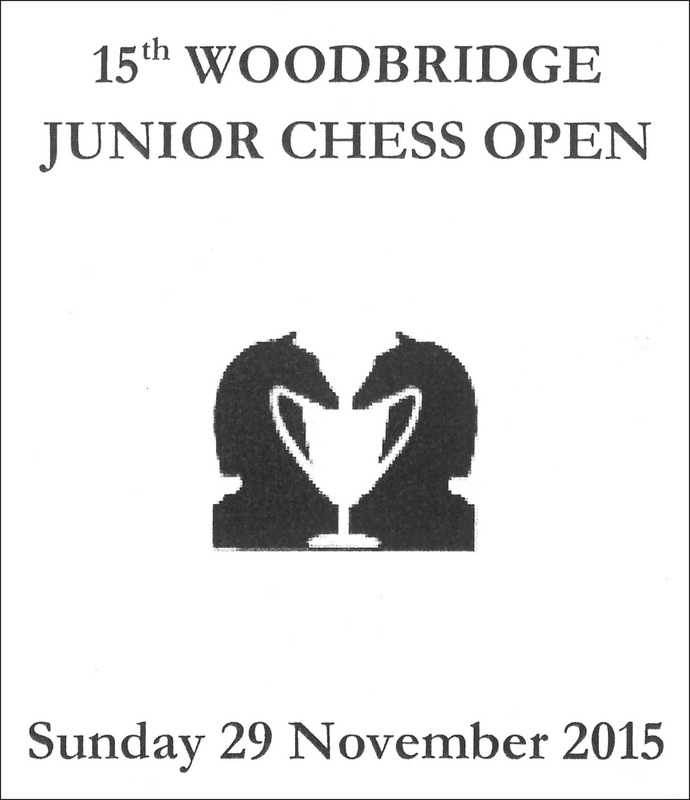 Entry forms can be downloaded from the Woodbridge School chess website.